Did you know that arthritis affects one in five dogs, with higher rates in senior dogs? Joints affected the most are hips, knees, elbows, shoulders and spine. The pain and inflammation associated with arthritis is seen after extensive cartilage damage has set in. 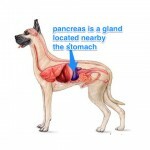 If you have a dog suffering from this condition, it is very important to get proactive at an early stage through supplements and change in diet, as these help to manage the symptoms naturally. The join structure is made up of bone, ligaments, a joint capsule and articular cartilage. The joint capsule is lined with a synovial membrane which produces synovial fluid. Synovial fluid lubricates the joint and acts as a shock absorber. In addition, it nourishes the articular cartilage, which is composed of chondrocytes (cartilage cells), collagen and proteoglycans; molecules that protect the bone. When nourishing a dog with arthritis (or being proactive against the onset) it is important to support all aspects of the joint structure. As well, your goal is to reduce inflammation, maintain lean muscle mass and support a healthy weight. As a pet owner, it is difficult to watch the progression of arthritis. Whether it is caused by a degenerative joint disease or old age, our instinct is to help ease the pain and improve quality of life. Combining a healthy diet, with appropriate supplements, can have remarkable results while improving overall wellness. Choose a diet that is unprocessed and does not contain synthetic ingredients. A good option is a species appropriate raw food diet. Raw diets are available commercially or, with guidance and research, can be made at home. A balanced raw or lightly cooked diet contains beneficial live enzymes and is packed with bio-available nutrients. Fat supplies the most calories to a diet, and therefore its levels and quality must be closely monitored. Obesity is directly related to the onset or aggravation of arthritis. So if your dog is overweight, then your first job is to promote weight loss. This is best achieved through a high protein, low fat diet. Each extra pound of weight your pet carries contributes directly to further degradation of the joint. The quality of fat you choose should also be considered. A diet high in omega 6 fatty acids will promote inflammation within the body, causing pain and discomfort. Adding omega 3 fatty acids (especially DHA and EPA) balances the omega 6 potency and reduces its inflammatory effects. The ideal supplement is wild salmon oil, keeping in mind combining vitamin E with fatty acid supplementation to avoid a deficiency. Providing a lean protein source is ideal for arthritic dogs. Meats high in fat contain high levels of omega 6 fatty acids, which contributes to inflammation. Feeding a lean meat or a grass fed meat, allows you to supply more calories in the form of omega 3 fatty acids. Protein and carbohydrates supply equal amounts of calories per gram in a diet, however protein has a higher nutritional impact and therefore less can be fed to supply nutritional needs. Protein supports strong muscles which aids in joint motility (this is particularly important in degenerative diseases such as hip dysplasia). There are two types of carbohydrates to avoid in an arthritic dog: grains/starches and night-shade vegetables. Both contribute to inflammation, which aggravates arthritis. Grains, such as wheat, rice, barley and corn, fluctuate the blood sugars levels and create swelling. Night-shade vegetables also aggravate arthritis, and these include tomatoes, peppers, egg plant and potatoes (not to be confused with sweet potato). If you are feeding a commercial diet, check the ingredients carefully. Many products are labelled as grain-free, however companies use increased levels of potato products in substitution. Foods that have shown to help with arthritis include; celery, ginger, papaya & mango (for their natural enzymes) and alfalfa. 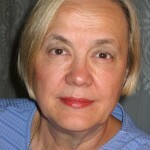 Dr. Pitcairn, who wrote Natural Health for Cats and Dogs, also recommends grated carrot and beets. Once you have found a diet that works, there are a variety of supplements to choose from. 2. Introduce new supplements slowly and watch for improvement. Most supplements will take three to four weeks before improvements are noted, but if none are seen, then try a different product. 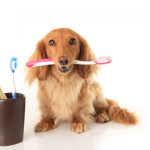 All dogs are different and respond differently to various products. 3. 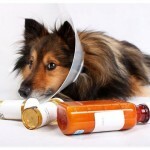 Check with your veterinarian if you dog is currently taking medications. 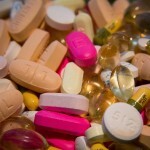 Some supplements can increase or decrease the potency of pharmaceutical drugs. For example, discontinue vitamin E and fatty acid supplementation ten days before and after surgery as they are blood thinners. These nutrients are at the top of the list when it comes to managing arthritis. They nourish the articular cartilage and increase joint health. Glucosamine and chondroitin (often supplemented as glucosamine sulfate, glucosamine HCl, and chondroitin sulfate) are absorbed into the articular cartilage where they are made into GAGs and finally into proteoglycans. Proteoglycans help to heal articular cartilage and keep the joint lubricated. Glucosamine and chondroitin are produced naturally in the body, however times of stress or damage (such as arthritis) require supplementation to maintain cartilage health. Green lipped mussels and raw bones are good natural sources of glucosamine and chondroitin. Vitamin C supports the formation of collagen which is a structural protein found primarily in ligaments and the cartilage matrix. Vitamin C is also a potent antioxidant that serves to remove free radicals from the joint. Older studies show that vitamin C supplementation throughout pregnancy and growth can dramatically reduce the incident of degenerative disease in German shepherd litters. Unfortunately, to my knowledge, these studies have not been explored further or verified. The amount of vitamin C required varies with each dog. It is best to increase the levels slowly until an ideal amount has been reached. Most dogs tolerate 500-2000 mg daily depending on their weight. Too much will cause loose stools. It should also be noted that vitamin C supplementation can lead to calcium oxalate crystal formation in susceptible dogs. Talk to your holistic veterinarian if you think this could apply to your dog. Vitamin D is active in bone health and helps to rebuild cartilage and tissue. If your dog has a thin coat or is outside often, then vitamin D supplementation may not be necessary. Some dogs can be deficient in this vitamin from a lack of adequate sunlight or utilizable source in the diet. Sardines packed in water are a source of vitamin D.
Enzymes are used to catalyze hundreds of reactions within the body. They boost the immune system and decrease inflammation. Enzymes are commonly used by athletes to reduce swelling, relieve pain and increase range of motion. Live enzymes are available in raw foods but to increase their effectiveness, products such as Prozyme or Wobzyme are available. The function of enzymes can be increased when combined with quercetin, which is a natural antioxidant bioflavonoid found in the skin of apples and berries. This supplement is relatively new to the canine industry and it is touted for its ability to lubricate joints and control inflammation. Hyaluronic acid is part of the GAGs family and it is found in the connective, epithelial and neural tissues of the body. It is a potent antioxidant that is available in many supplements as well as raw bones. L-Glutamine L-Glutamine is an amino acid that helps to slow muscle atrophy that is commonly seen in arthritic dogs. It also helps to reduce pain and regenerate connective tissue. 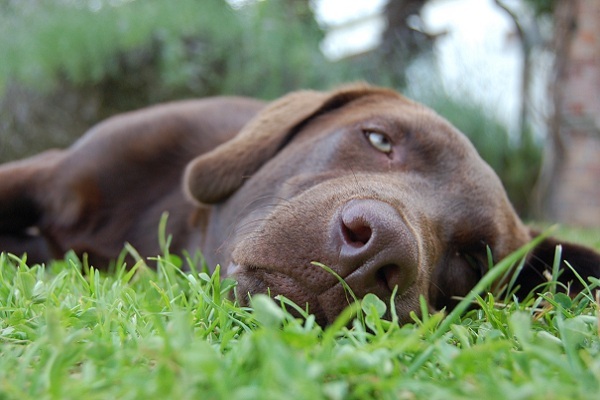 There are many herbs and herbal formulations that are available to help your arthritic dog. Be sure to use a product that is formulated for dogs, and follow the instructions carefully. Just like drugs, herbs are powerful and should be used with care. Some products I have used include Dog Gone Pain and Animal’s Apawthecary. Popular herbs used in arthritic remedies include yucca root, nettle leaves, turmeric, licorice, devil’s claw and dandelion root. SAMe is a molecule that is related closely to ATP (Adenosine Triphosphate). It helps to support the liver and reduce the pain and stiffness associated with arthritis. It is suggested to supplement SAMe in combination with B vitamins. DLPA is an amino acid used in the treatment of depression and chronic pain. It works by inhibiting enzymes that metabolise pain-reducing hormones, thereby prolonging the body’s natural pain-relieving pathways. DLPA can be used as an alternative to traditional anti-inflammatory medications. When looking for supplements at your local pet store or pharmacy be sure to read labels and look past heavy marketing. Many supplements will lure you in with radical claims, but without a list of ingredients and nutritional breakdown, leave them on the shelf. Often veterinary management of severe cases of arthritis includes the prescription of NSAIDs (non-steroidal anti-inflammatory drugs). Although these drugs may reduce pain, they can also lead to increased joint degradation. Side effects such as gastric ulceration and liver and kidney stress have been well documented. I would strongly recommend natural alternatives include acupuncture, massage, and ice to reduce swelling on top of the above supplementation. It is important to remember that every dog is unique. Listen to your dog and don’t be afraid to voice your opinion when choosing the best combination of diet and supplements. Healthy Dog Club interviews Dr Jean Dodds, a world renown vaccine research scientist about hypothyroidism in dogs! 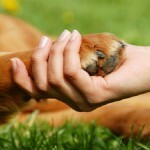 Does your pet suffer from kidney disease?